Back to growing tips. Today’s edition Bell Peppers. You can check the rest of the vegetables by exploring the site. 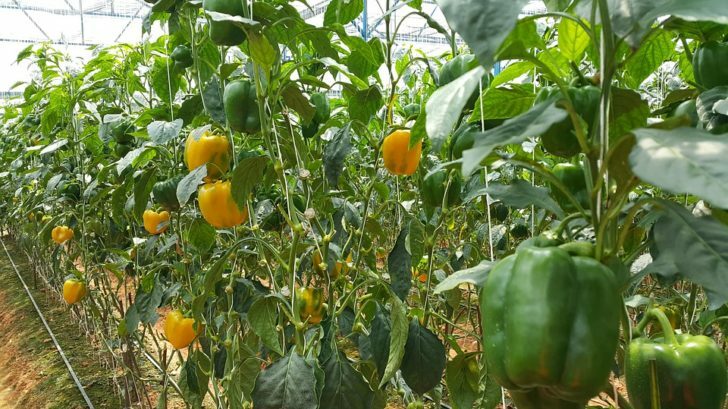 How To Grow Bell Peppers? Peppers grow very quickly. Depending on their variety they can become within 60 to 150 days (after transplanting). For the beginners, we suggest you use the early varieties for growing. 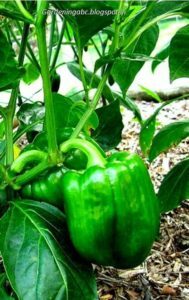 You can use your backyard or grow bags to grow pepper. Just make sure receive 6 hours of sunlight in a day. Though you can directly put the seeds in the garden, we strongly recommend that you first grow the seedlings indoors. It takes 2-8 weeks for the seeds to grow into a proper transplant. Now plant them into the garden where you intended to grow pepper. Give 12 to 15 inches gap between two plants. Prior to transplant mix a good amount of compost with the soil. They are not a very hungry plant. That much of compost is enough for the plant. While using compost ingredients, make sure you don’t use a high amount of Nitrogen in the pile. This can result in lush foliage and lesser fruits. Watering is very important in plants like pepper. They require a good amount of water but make sure the soil has proper drainage and the roots don’t get waterlogged. One of the solutions you can use is to add Perlite to the soil. Pepper is usually pest free. In rare cases spider mites or aphids attacks peppers. You can easily handpick and remove them. Don’t wait for the peppers to fully mature before picking. Most of the peppers taste best when picked a little early. Also, regular harvesting of pepper increases the yield. Use a sharp knife to cut the fruit from the plant. 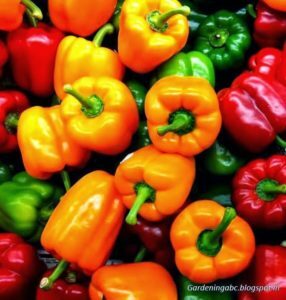 It is best to eat peppers the same day you have harvested. You can also use a refrigerator to store them. Get more on vegetable storing in our earlier article. We want to know about your feedback regarding the articles. Please feel free to use the comment box below to express your views.